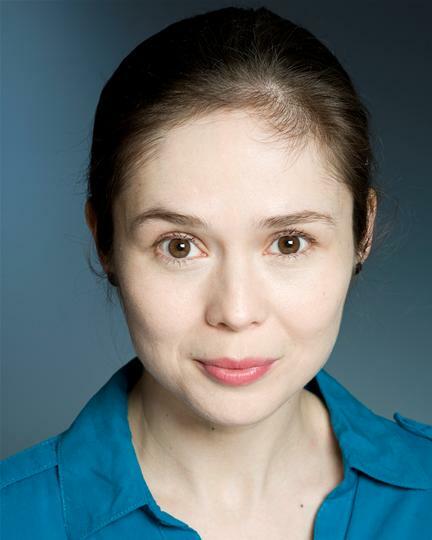 Becky is an actor-musician and a BSL/English interpreter (MRSLI under her original name of Becky Allen). Her credits as an interpreter include: The Jew Of Malta (Royal Shakespeare Company); Othello, Henry V, Love’s Labour’s Won, Love’s Labour’s Lost, The Two Gentlemen Of Verona and Henry IV Parts I & II (Royal Shakespeare Company Schools Broadcasts); Inside Number 9 (BBC); Jack And The Beanstalk (Stafford Gatehouse); Gods Are Fallen (Greyscale); The Elves And The Shoemaker (Colchester Arts Centre) and The Knitting Circle and The Disappearance Of Dorothy Lawrence (Vital Xposure). Her credits as an actor-musician include: The Tempest, The Good Soul Of Szechuan, Lysistrata (Watford Palace Theatre); The Odyssey (London Bubble); The Latke Who Couldn’t Stop Screaming (Tall Stories); The Three Wise Monkeys (Hiccup Theatre); Spring Shakespeare (The Orange Tree); Suitcase (Hope Street Theatre) and The Ugly Duckling (Queen’s Theatre Hornchurch). Becky also works as a mentor for Graeae’s Ensemble and regularly works as a rehearsal room interpreter and workshop facilitator around the UK.